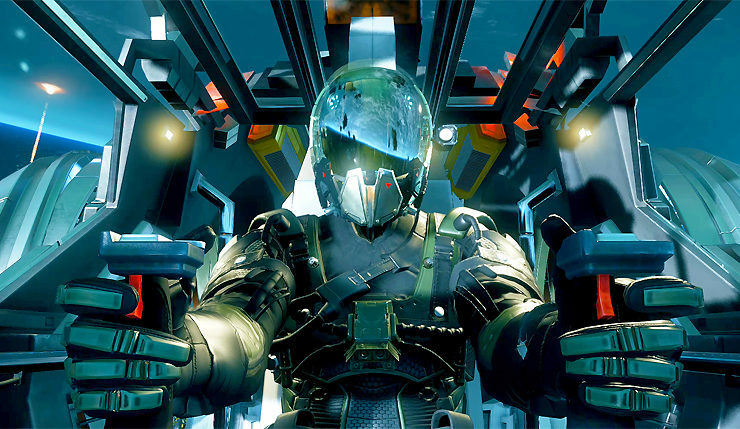 Star Citizen took another baby-step toward full-release status this past weekend with the launch of a new, relatively-meaty update, marking the game’s first major feature infusion since the big 3.0 patch this past December. The two big bullet points added in the alpha 3.1 patch are character customization, which lets players tweak their head shape, eye color, hairstyle, skin tone, and more, and Service Beacons, which let you call for help if you find yourself in trouble or lost. Of course, the update also includes a selection of new ships, and the usual array of tweaks and UI updates. Service Beacons have been introduced to the PU economy. Using the mobiGlas, players can create and customize “Personal Transport” or “Combat Assistance” contracts that will be made available to other players to complete for the agreed upon payment. After the contract ends, players can review each others performance with a positive or negative rating. For those who haven’t been following the epic Star Citizen development saga, the multiplayer space trading and combat game first hit Kickstarter in 2012 and has amassed a staggering $175 million in funding, but has been slow to deliver content, with update plans often changing or being delayed. Star Citizen developer Cloud Imperium Games has promised a more regular schedule of quarterly updates in 2018 (you can check out their roadmap here). To be fair, they did get update 3.1 out just in time – maybe Star Citizen’s developers have finally found their groove? Star Citizen is currently available in alpha form on PC. A full-release launch date has yet to be set (and probably won’t be any time soon). Star Citizen 3.5 Hitting All Backers – Ships, Locations, Missions and Female Characters!